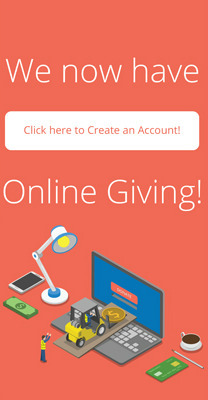 • Would you like to give without setting up a donor account? Click “Quick Give”. • First Time Donor? Click “First Time” and setup your Donor Profile. • Already a registered donor? Simply enter your Email and Password. • Forget your password? Click “Forgot Password”. • Login by entering your email address and password. • Select which fund you would like to donate to from the drop down list. • Enter your donation amount. • Add your card information and billing details. • Click “Submit” to process your donation. • Enter your email address and password. • Password must be at least 8 characters and must contain a combination of letters and numbers. • Remember these login credentials! You will need them to access your Donor Profile. Thank you for your donation and support. We couldn’t do this without your help. May God Bless You Richly For Your Gift.